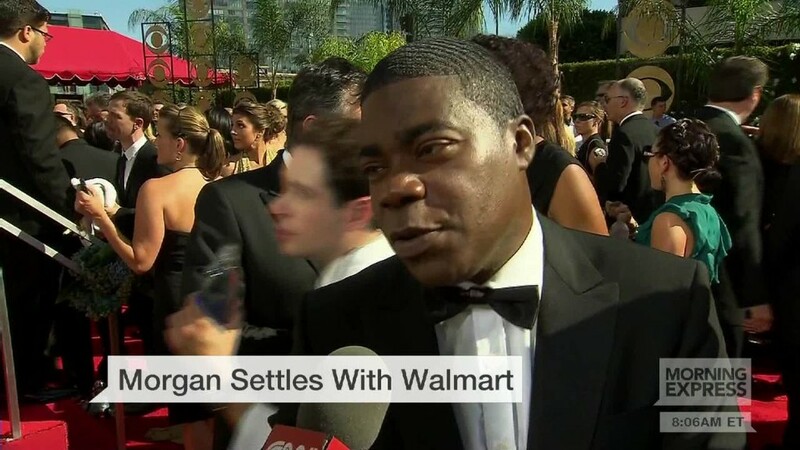 Comedian Tracy Morgan has settled with Walmart for an undisclosed amount over the deadly car crash that left him seriously injured. "Walmart took full responsibility for the accident, which we greatly appreciate," said Morgan's attorney Benedict Morelli in a statement. A Walmart tractor-trailer rear-ended the limo bus Morgan was riding in on the New Jersey Turnpike in June of 2014. Comedian Ardley Fuqua and Morgan's personal assistant Jeffrey Millea were also injured in the crash. Both were also represented by Morelli in the settlement. The collision killed Morgan's friend and fellow comedian James McNair. His family settled with Walmart earlier this year, also for an undisclosed amount. The Walmart (WMT) truck was traveling 20 mph over the speed limit and its driver Kevin Roper was almost at his drive time limit, according to the National Transportation Safety Board. Officials say Roper had been awake for more than 24 consecutive hours before the crash. Walmart has said that Roper did not break any rules. "We are deeply sorry that one of our trucks was involved," said Walmart U.S. president Greg Foran Wednesday. "While we know there is nothing that can change what happened, Walmart has been committed to doing what's right to help ensure the well-being of all of those who were impacted by the accident," he said. Morgan suffered broken ribs, a broken nose and a broken leg in the crash. His attorney could not immediately be reached Wednesday for details on his recovery. "Walmart did right by me and my family, and for my associates and their families. I am grateful that the case was resolved amicably," Morgan said.